As winter wraps us in her cloak, let's think about indoors entertainment that doesn't involve hurling yourself around the room with a joystick in your hand. 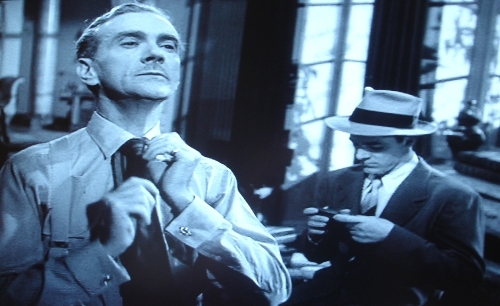 How about a nice black-and-white film to watch, with some tips for dressing like a cad? I thought you'd like that. And you can have that sit down you deserve. 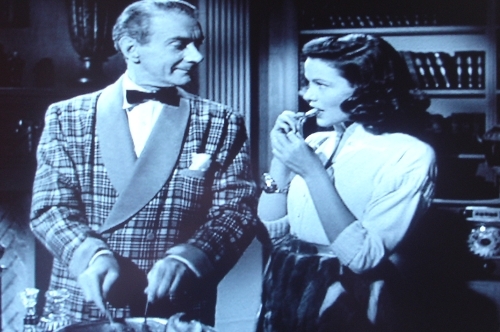 Laura is an American film-noir, released in 1944, directed by Otto Preminger. 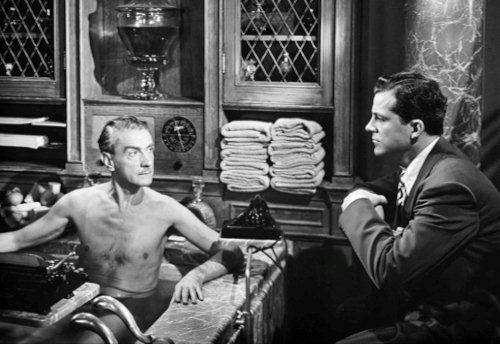 Dana Andrews plays a detective investigating the killing of the eponymous Laura, played by Gene Turney, who seemed to enchant everyone she met. Suspects include her flaky boyfriend Shelby (Vincent Price) and journalist friend Waldo (Clifton Webb). Who did it? You think you have an idea, then comes a big twist and your certainties are confounded. Yes, yes, Gene Turney is beautiful, one of the most beautiful actresses of Hollywood's golden era. 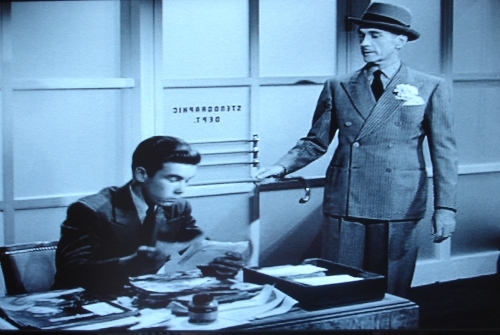 Dana Andrews is dependable as ever, but this is Clifton Webb's film. His character is waspish, snobbish, effete, arrogant and witty. A bit of a cad, actually, and a joy to watch. And his wardrobe marks him out as a bit of a dandy too. What might we find in a cad's wardrobe? Here are a couple of pointers from the film. Cane for pointing dismissively at underlings. Speaking of cads and dandies, we'll be bringing something special from Cad and the Dandy soon. As we're on a bit of a wind-down for Christmas - the mince pies are out already - it will most likely be a New Year treat. Stay tuned.